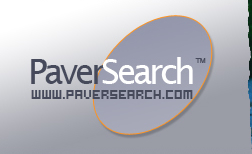 California Counties - Find a local, pre-screened paver professional! The history of California reveals that as early as 1873, granite stone was being used for the beautification of many important buildings in cities like San Francisco, Los Angeles and San Diego. Many structures were being faced with granite stone, which was polished to improve its aesthetic appeal. They also used Granite to construct houses, wells and fireplaces. Later on with the development of the Paving Stone in the early 1900’s, the use of Granite was expanded. Granite stone was being cut into blocks approximately 4 inches thick, 5 inches wide and 10 inches long, to form what we now call "pavers". Such granite paving blocks were used to build roads, pavements and gutters in the state of California. By the 1920's the demand for Paving Blocks declined, for with the increase of the number of cars on the roads, the demand now called for a smoother material for the roads of California. The new material of choice became a gravel-like substance which was made out of decomposed granite. Nowadays, with the increasing advances in production and manufacturing techniques, the Interlocking Concrete Pavers have taken the whole world by storm. 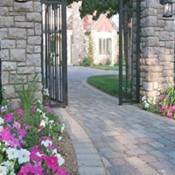 They have become so popular for their durability and beauty, and are commonly used for a wide range of Residential and Commercial Landscaping projects. 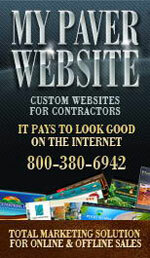 They certainly have become a valued paving material in California also! surrounding pool areas. 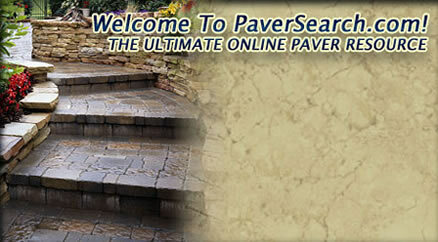 Pavers provide a safe, durable and beautiful flooring alternative! 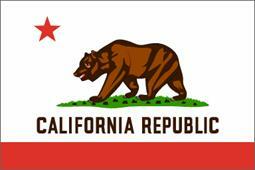 California is a state which is located on the west coast with an area of 411,000 km. It is the third largest state in the U.S.A. It is one of the more popular states in America due its dominance in American culture as well as its economical strengths that have a large impact in the world economy. The nickname that has been officially given to the state of California is THE GOLDEN STATE. The technological innovations that many of California’s cities have produced have also added to this states popularity worldwide. In more modern times the most famous place is Hollywood in California. Hollywood is the movie capital of the world. This beautiful state of California has an expansive natural beauty and charm which are continuous for hundreds of miles with breathtaking scenic views with tall mountains, green valleys, and hot deserts. 35% of California’s total surface is covered by forest and another 25% of total surface is desert. California is also famous for the earthquakes that have existed during the last three decades as well as volcanoes that have erupted in Mount Shasta in 1914 and 1921. The climate and temperature in California will vary from one region to another depending on latitude, elevation and the proximity to the coast. The closer to the coast line the cooler it is in summer. Inner land the temperature is always warmer in summer and cooler in winter to the coast line climate.